Watch out Erik Larson, you've got some serious competition in Cristin O'Keefe Aptowicz. 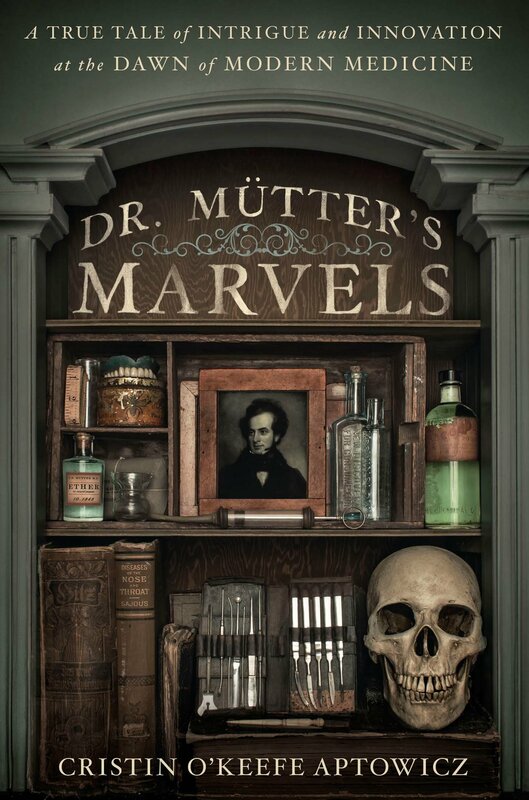 I thoroughly enjoyed her new book, Dr. Mütter's Marvels: A True Tale of Intrigue and Innovation at the Dawn of Modern Medicine, an excellent example of narrative non-fiction. Although well-known in his time, I had never heard of Dr Mütter before reading this book. Aptowicz's story, however, made him jump off the pages. She followed the familiar pattern of short chapters with punchy endings that make you want to jump to the next chapter as quickly as possible. While many others have tried this formula and can make it seem tiring, Aptowicz really nailed it. The cliffhangers never seemed contrived and really did move the story along. I'm not sure I would characterize this story as one of "intrigue," but "innovation" definitely! And though mentioned briefly at the beginning, the "Marvels" of the title aren't really discussed until the end, but I enjoyed Aptowicz's narrative in her acknowledgements as she described how she learned about Mütter and his marvels. Now I think I'd like to see them, too--and that's how you know you've found a really good author. I'm looking forward to more, Ms Aptowicz!